Hi! It's Jilly. 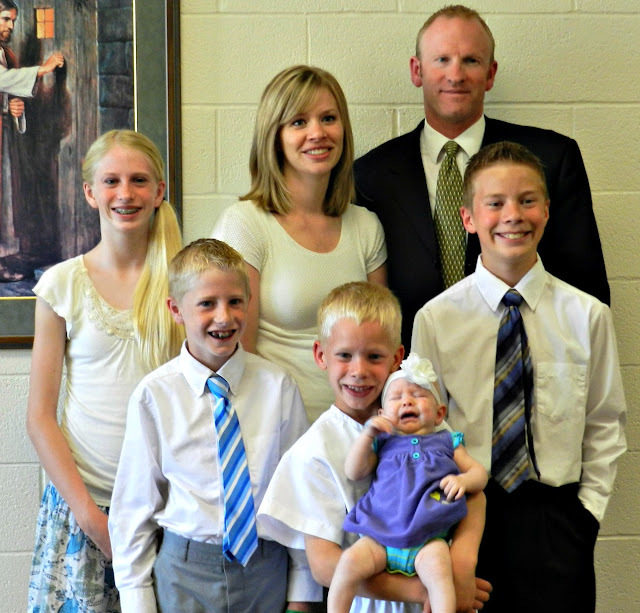 : Baptism Day! Hi! It's Jilly. 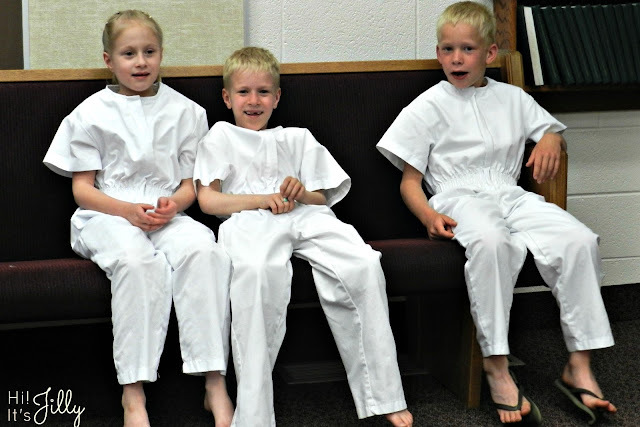 I can't believe my kids are old enough to be BAPTIZED!! Where did the last 8 years go?! 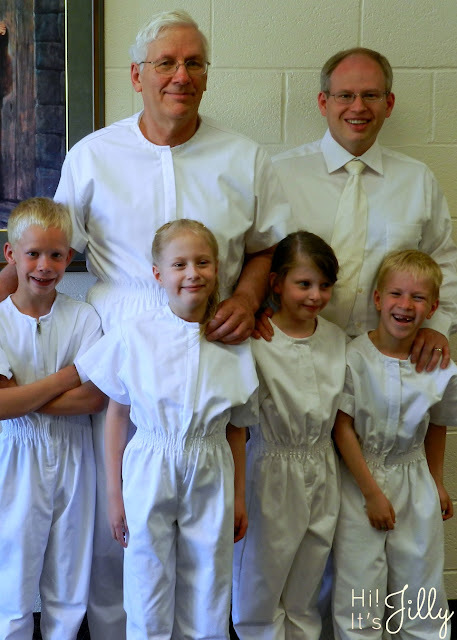 For the kids' baptism we flew out to Utah so we could do a combined baptism with their cousin who was born on the exact same day! My Mom and some of my sisters flew out from Texas, another sister flew out from New York (she miraculously got the week off and we found a ridiculous deal on her flight! ), and Scott's parents flew out from Oregon. It was nice to have so much family there! 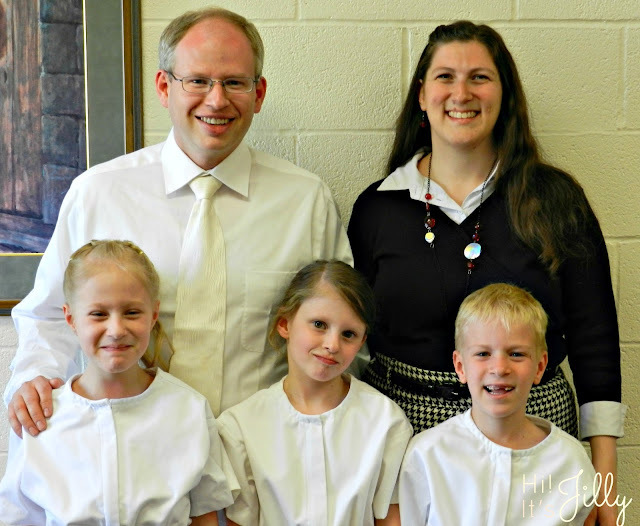 Before the baptism. 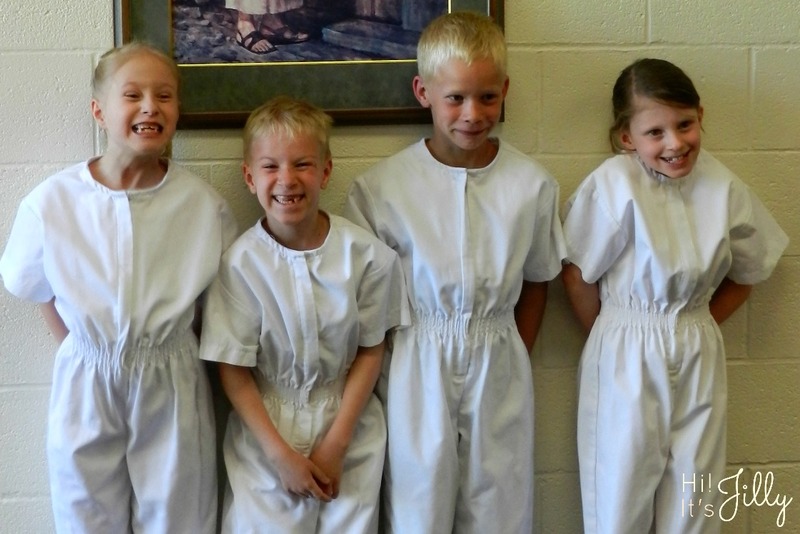 Do you know how hard it is to get a decent picture of FOUR wiggly & excited eight-year olds?! Emma chose to be baptized by Grandpa and confirmed by Daddy. 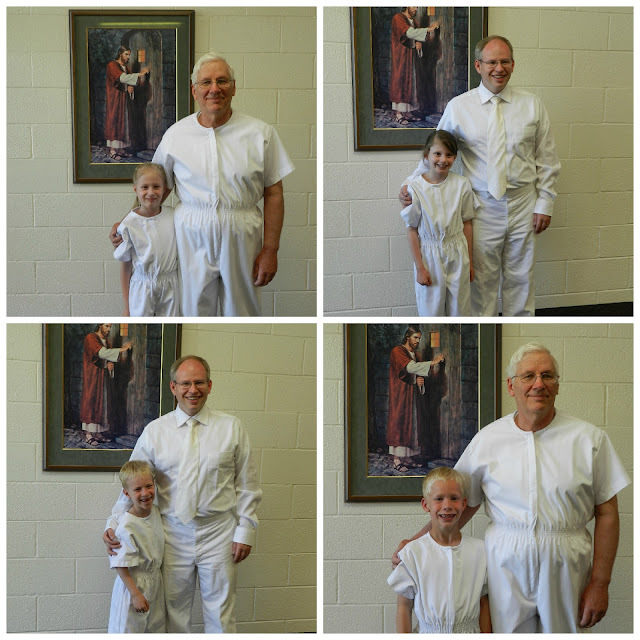 Katelynn chose to be baptized by Daddy and confirmed by Grandpa. Michael chose to be both baptized and confirmed by Daddy. Scott's sister, Carol, and her family. Emma, fresh out of the font. 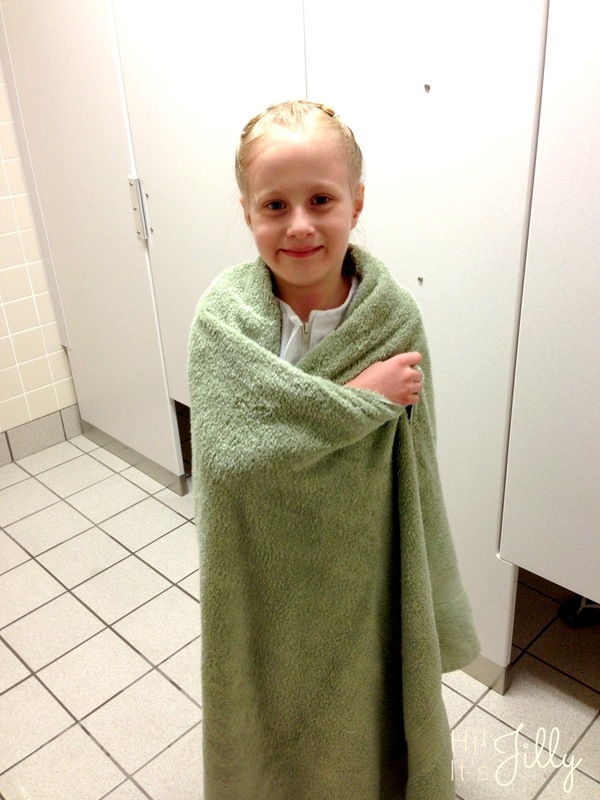 We let the kids come out in their towels and watch each other get baptized before they got dressed. 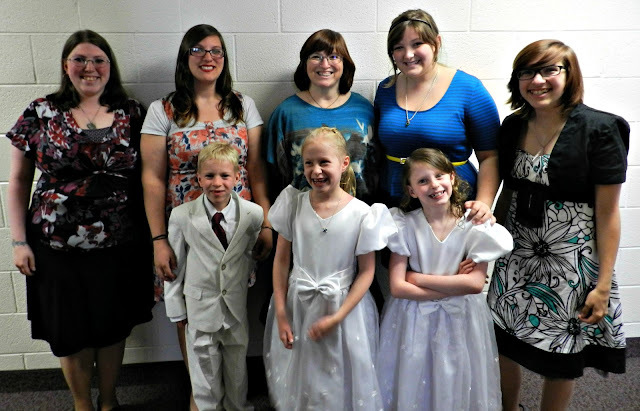 My mom and sisters with the kids after the baptism. Opening Song: "Choose the Right"
Closing Song: "I Am a Child of God"
It was a nice day. I'm so happy my kids have been baptized and are on the right path towards exaltation with our Father in Heaven! I pray they can learn how to listen to the Holy Spirit and strive to keep their testimonies strong!